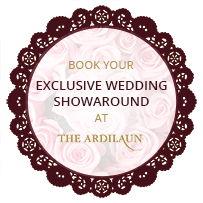 Tradition, hospitality and old world charm are synonymous with the luxurious Ardilaun Hotel, making it the perfect place to relax and enjoy an indulgent Afternoon Tea. Our creative culinary team offer a menu of delights, and they pride themselves on sourcing the finest locally sourced seasonal ingredients. Each dish is carefully crafted to enthuse the senses, offering a unique dining experience. The sumptuous Chocolate Afternoon Tea is a moreish treat which captures the imagination and skill of The Ardilaun’s accomplished pastry chefs. They've used their culinary experience to devise this afternoon tea Galway with chocolate lovers in mind, using the best of local artisan produce. Not shying away from the classic components of a Traditional Afternoon Tea, savoury delicacies including freshly baked scones, preserves and sandwiches - intertwined with a contemporary French twist. These delights are served alongside sweet chocolatey treats, guaranteeing a veritable feast for the senses! Served in the hotel’s spacious foyer, this is the perfect place to relax and enjoy a decadent afternoon in Galway, savouring the finest selection of the chef’s freshly baked and deliciously rich chocolate-based treats. The Ardilaun Afternoon Tea in Galway is available every day and advance bookings are advisable. It is available between 3 pm and 5:00 pm and costs €38 for two, or for an extra indulgence add two glasses of Prosecco for €55. A mini Afternoon Tea package is also available on request for children which includes child-friendly sandwiches and tasty miniature treats! Everyone loves being treated to afternoon tea, all you need is some company! 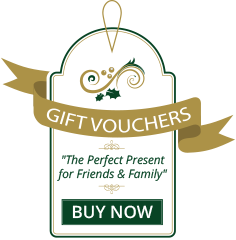 Buy an Afternoon Tea Gift Voucher for two. To make a reservation please call us on 091 521433.